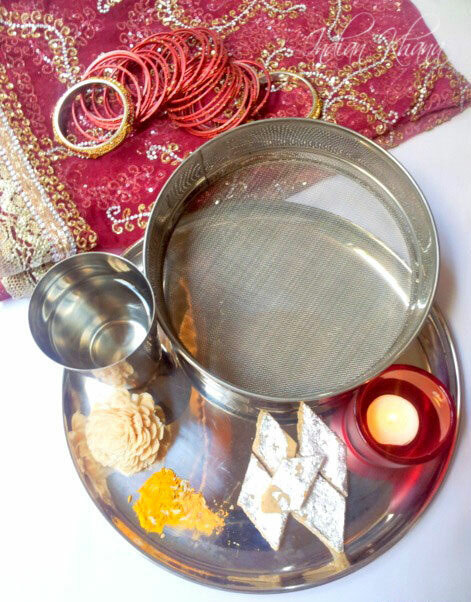 Karwa Chauth or Karva Chaath is festival dedicated to husbands and their well being. Karwa Chauth is on 11th Oct 2014 this year, celebrated mostly in North India Karwa Chauth is special to married women and now days also to unmarried girls. Thanks to hindi movies and serials this festive is growing each year with the fun & fare they show in movie and serials making it very interesting. Planing the dinner menu in advance always helps and do here listing the recipes to plan your grant Karwa Chauth dinner. If you don't eat onion and garlic then skip that from below recipes if mentioned. Wish you all Very Happy Karwa Chauth, God Bless. Karwa Chauth falls on 4th day of Kartik month, Karva means earthen pot and Chauth means 4th on. This day married woman keep fasting from Sunrise to Moonrise for longevity, prosperity and safety of their husband. In each home and state rules/process of fast is different by the baseline is always same. Fast from sunrise to moon rise without eating or drinking anything. In Punjab women eat pre-dawn and it's called Sargi normally prepared by mother-in-law and in Uttar Pradesh women eat on the eve of festival. It's believed eating early morning or on eve helps women to keep fast. Morning time women keep themselves busy with preparing for evening pooja, applying mehdi (heena) and meeting friends, family. Women fasting on this day generally doesn't do any house work. In the late afternoon women gather at temple or home and perform Pooja, a mud pot filled with water, flowers and Godess idols are kept during this Pooja. Elderly narrate Katha (story)/legends of Karwa Chauth and it's do's and don't. Normally women wear their wedding dress or heavy saree, suit etc in red, pink, maroon, brown color with jewellery and other stuff. Once moon rises women see moon through a sieve or moon reflection on a plate (thali) filled with water, see husband through same sieve. Offer water to moon and pray, perform husband's aarthi, seek blessings and finish the pooja. Then husband gives first sip of water and feed sweet to wife to break the fast and after this women has complete meal. 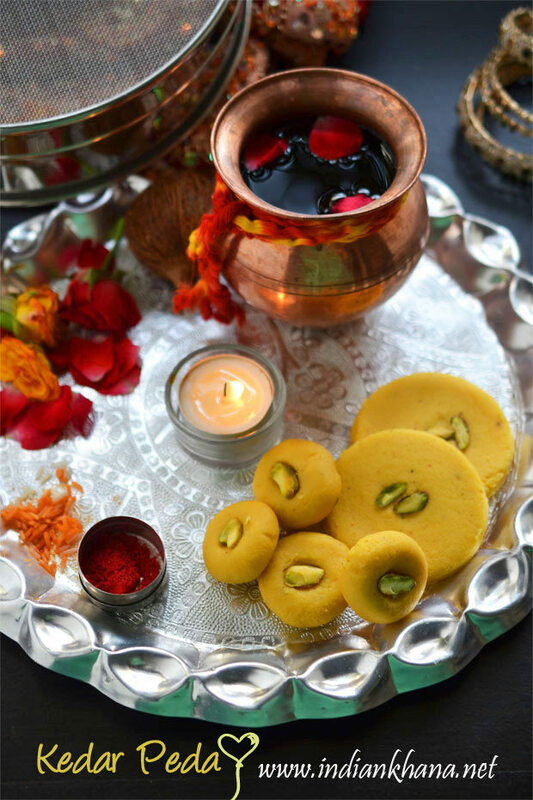 This post is collection of sweets, snacks, paratha, puri, rice, curry recipes ( If you don't eat onion and garlic then skip that from below recipes if mentioned) you can try during Karwa Chauth day and celebrate the festive with fun and fare. 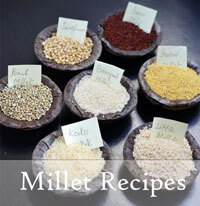 You can refer no onion no garlic recipes here, and if need any non-veg recipes then click here. Do share your celebration pictures with me. 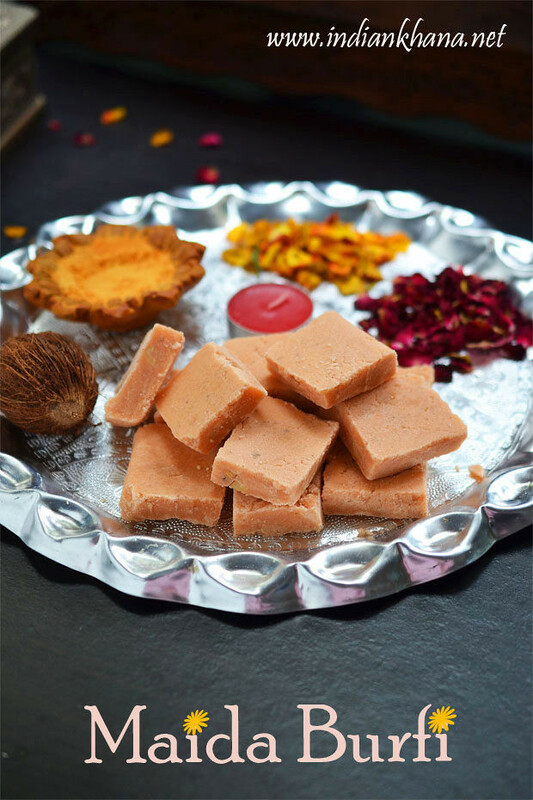 Badam Katli - Katli or fudge made with badam (almonds). 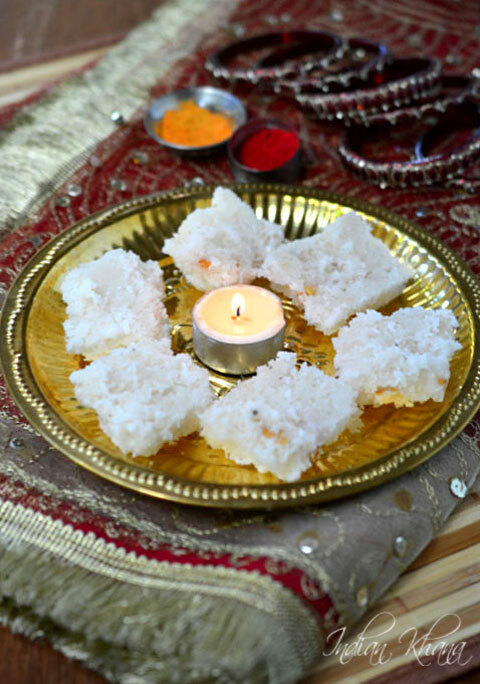 Coconut Burfi - Quick, easy fresh coconut burfi with minimal ingredients. Coconut Ladoo - Easy, no cook coconut ladoo with only 2 ingredients. Dates Sesame Ladoo - Quick and nutritious khajur, til (dates, sesame) ladoo. Sooji (Rava) Ladoo - Popular and easy sooji ladoo. Nariyal Gud (Kobbari Louz) Ladoo - Fresh coconut, jaggery ladoo with hint of sesame seeds. 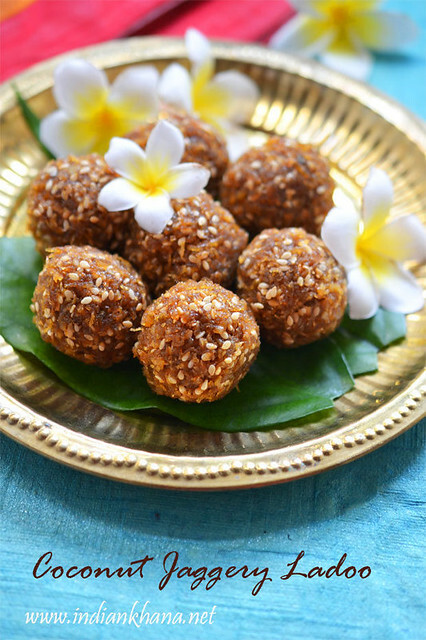 Maaladu - Laddu made with daliya/roasted gram and ghee. Gulab Jamun - Popular Indian Sweet Gulab Jamun made with milk powder. Condensed Milk Khoya - Easy khoya made in microwave in 15 minutes. Dry Fruits & Figs Roll - Sugar-free, Fat-free easy dates, figs and dry fruit rolls. Dry Fruits Burfi - Sugar free, fat-free, gluten-free burfi with dry fruits. Sooji Halwa - Classic Indian sweet made with semolina/sooji. Beetroot Sooji Halwa - Easy beetroot and semolina halwa. Beetroot Halwa - Halwa made with beetroot. Sweet Potato Halwa - Sweet potato or shakhand halwa. Apple Rabdi - Rabdi made with apple twist. Anjeer Phirni - Phirni made with sooji (semolina) and anjeer (dried figs). Moong Dal Kheer - Kheer made with moong dal and jaggery. Sabudana Kheer - Kheer made with sabudana (sago). Sooji Kheer - Kheer made with sooji (rava), milk, sugar and nuts. Phool Makhana Kheer - Kheer made with phool makhana (puffed lotus seeds). Carrot Kheer - Kheer made with carrot, milk and sugar. Dates Kheer - Easy, suga-free dates (khajoor) kheer. Seviyan - Popular semiya payasam or seviyan. Fruit Trifle - Easy fruit trifle with cake, custard and frutis. Sweet Lassi - Delicious lassi made with yogurt (dahi), sugar and flavored with cardamom. Mango Lassi - Creamy lassi made with yogurt, mango and sugar. You can use canned mango pulp. Strawberry Lassi - Creamy lassi made with yogurt, strawberry and sugar. 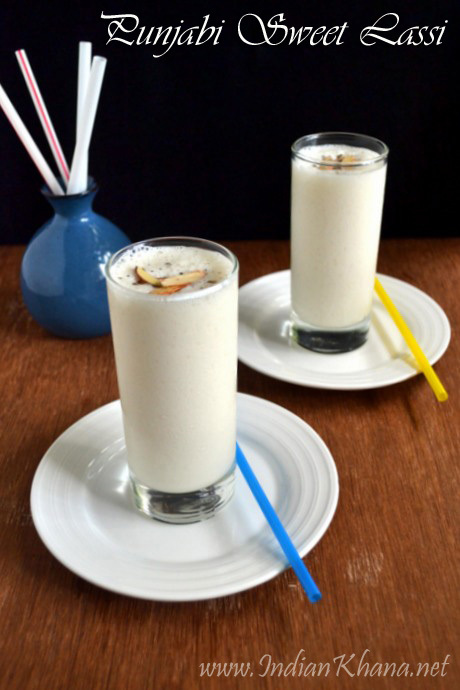 Salted Cucumber Lassi - Figs (anjeer) milkshake with almond milk. Vegan Figs (Anjeer) Milkshake - Milkshake made with apple. Banana Milkshake - Simple milkshake made with banana. Fruits & Nuts Milkshake - Filling milkshake with fruits, dates and dry fruits. Cookie Milkshake - Delicious milkshake made with chocolate chip cookies. Jaljeera - Popular mint lemonade or jaljeera. Cucumber Lemonade - Lemonade made with cucumber. Strawberry Lemonade - Lemonade made with strawberry. 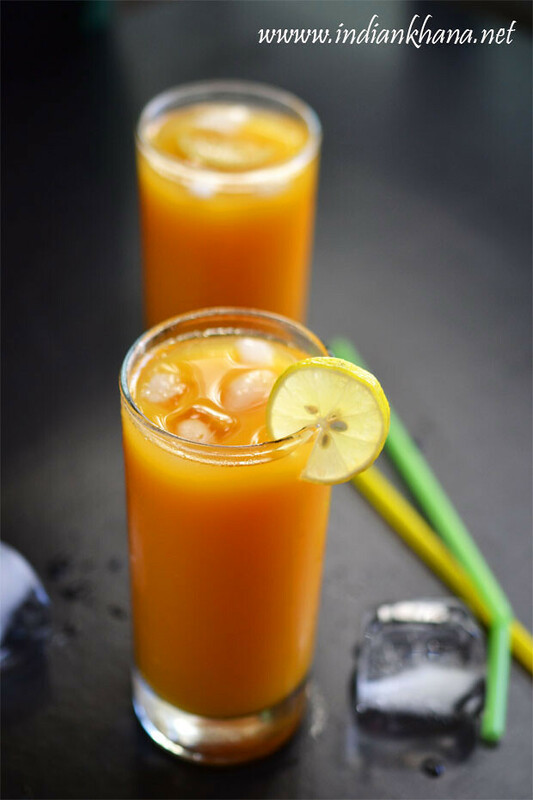 Mango Iced Tea - Refeshing iced tea with mango. Chana Dal Namkeen - Namkeen made with chana dal. Dahi Bhalla - Dahi Vada or urad dal dumplings soaked in curd and topped with chutney. Plantain Potato Tikki - Tikki or cutlet made with boiled mashed plantain potato. 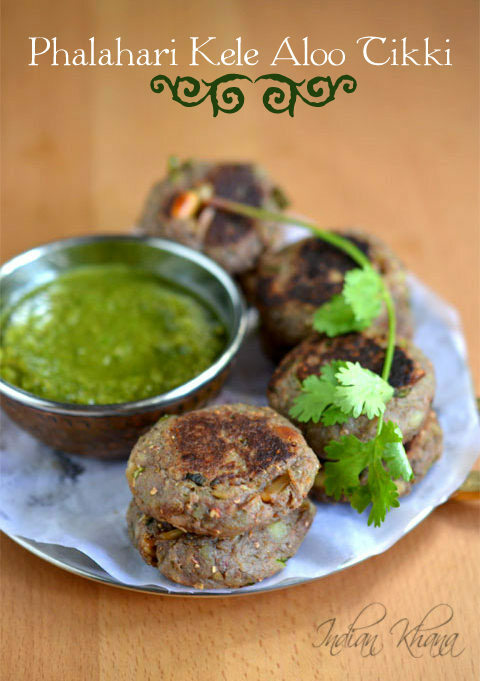 Arbi Ki Tikki - Tikki or cutlet made with Arbi (colocassia) and spices. Beetroot Cutlet - Delicious, colorful cutlets with goodness of beetroot. Oats Cutlet - Healthy oats cutlets with spices and potato. Ragda Patties - Popular Indian Chaat recipe made with dried peas and potato patties. Dabeli - Popular street food with sweet, tangy and spicy flavors. Vrat Ke Dahi Puri - Dahi puri made with singhara atta. Vrat Ke Papdi Chaat - Papdi chaat made with singhara atta. Aloo 65 | Chili Aloo - Fried potatoes in Indo-Chinese style. Gobi 65 | Chili Gobi - Fried cauliflower in Indo-Chinese style. Gobi Manchurian - Popular dry cauliflower manchurian in Indo-Chinese style. Aloo Pakoda - Potato fritters or aloo pakoda made with potato, chickpeas flour and deep fried. Arbi Patta Pakoda - Arbi patta or taro leaves pakoda. Bhaji Vada (Pakoda) - Vada made with spices, spinach. Lauki/Dudhi Pakoda - Pakoda made with bottle gourd. Onion Pakdoa - The classic onion pakdoa. Spring Onions Pakoda - Pakoda made with spring onions/saaga pyaaz. Lobia Vada - Vada made with lobia/jhurga. Moong Dal Pakoda (Vada) - Crunchy vada or pakoda made with moong dal. Masala Vada - Vada made with chana dal. Maddur Vada - Karnataka style Maddur Vada. Sambar Vada - Popular South Indian Snack or breakfast Sambar Vada. 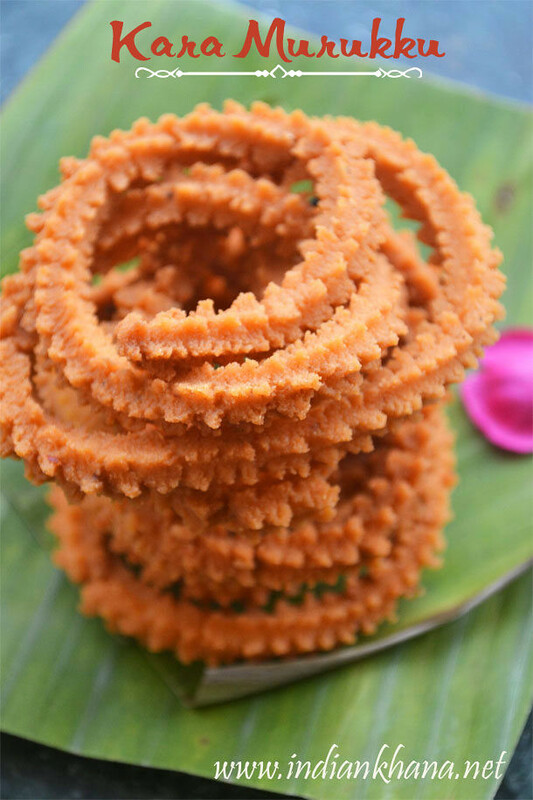 Masala Paniyaram - Paniyaram made with spices, coconut and idli batter. Kuzhi Paniyaram - Paniyaram made with idli batter, onion etc. Grilled Aloo Masala Sandiwch - Grilled Sandwich with spicy potato filling. Grilled Paneer Sandwich - Easy and filling grilled paneer sandwich. Grilled Vegetable Cheese Sandwich - The most popular sandwich of all in blog easy veg and cheese sandwich. Potato Sesame Toast - Easy open toast with potato masala and sesame sprinkles. 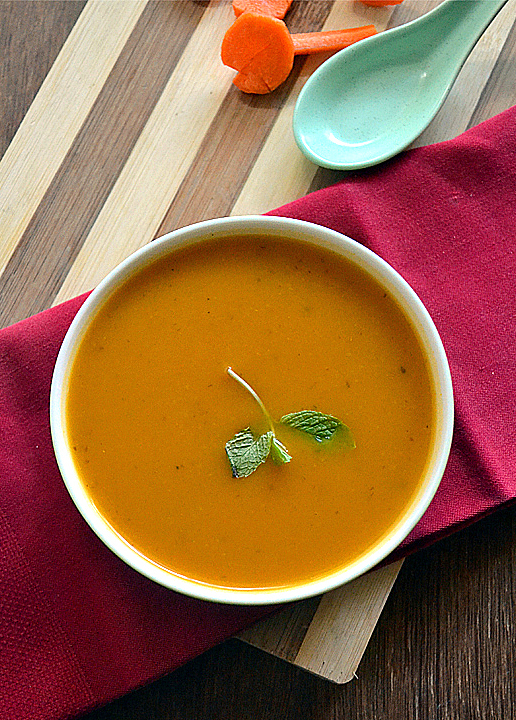 Carrot Ginger Soup - Easy carrot soup with ginger hints. Broccoli Soup - Healthy, easy broccoli soup. Cauliflower Soup - Creamy and yum cauliflower soup. Curried Pumpkin Soup - Cafe style pumpkin soup with spices. Roasted Corn Capsicum Soup - Freshly roasted corn and capsicum soup. Tomato Bread Soup - Popular Pappa Al Pomodoro. Spring Onion Peas Soup - Delicious, colorful spring onions and peas soup. Tamatar Shorba| Tomato Soup - Classic tomato soup Indian style. Carrot Coconut Salad - Oil-free carrot and coconut salad. Fruit Salad - Fruit salad in yogurt dressing. Aloo Raita - Aloo raita made with boiled potato, curd and spices. Beetroot Raita - Flavorful beetroot raita made with beets, curd, coconut. Bhindi Raita - Fried okra in yogurt with tempering. Dudhi Raita - Dudhi/Lauki raita made with bottle gourd, curd and minimal spices. Cucumber Raita - Refreshing raita with grated cucumber. Onion Tomato Raita - Refreshing raita with onion and tomato. Carrot Raita - Easy raita with carrots. 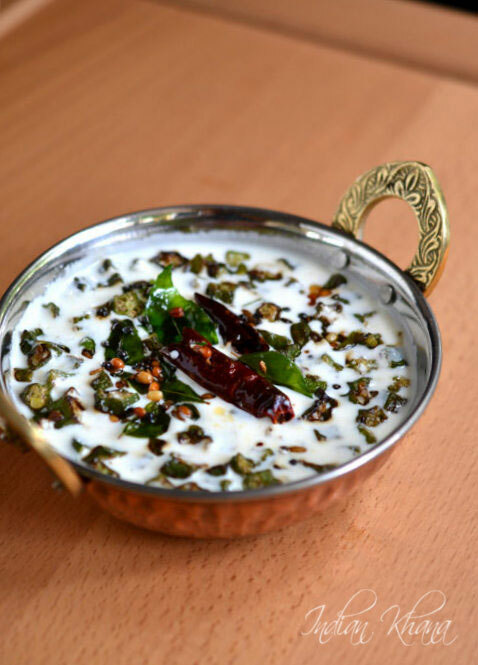 Capsicum Raita - Easy raita with capsicum. Coconut Coriander Chutney - Basic chutney with coconut and cilantro. Garlic Chutney - Spicy garlic chutney. Green (Chaat) Chutney - Versatile green chutney to go with anything. Sweet (Chaat) Chutney - Sweet and tangy tamarind, jaggery and dates chutney. Onion Tomato Chutney - Delicious chutney made with onion and tomato. Peanut Chutney - Flavorful nutty chutney. Tomato Coriander Chutney - Classic tomato cilantro chutney goes well with every thing. Mint (Pudina) Chutney - Refreshing mint chutney to go with anything. Ajwain Paratha - Paratha made with ajwain (carrom seeds). Chana Dal Puri - Stuffed paratha or puri with cooked, mashed chana dal. Mirch Ajwain Paratha - Easy and different ajwain paratha with chili. Palak Puri - Healthy and colorful palak puri. Kulcha Naan - Kulcha made in easy stove top method(yeastfree). Paneer Kulcha - Soft and delicious Kulcha with paneer stuffing made in easy stove top method (yeastfree). Yeast free Naan - Soft naan recipe made in easy stove top method. Plain Thepla - Thepla or masala roti, a good twist to normal paratha. Methi Thepla - Popular Thepla with methi leaves. Mooli Paratha - Easy and filling mooli paratha. 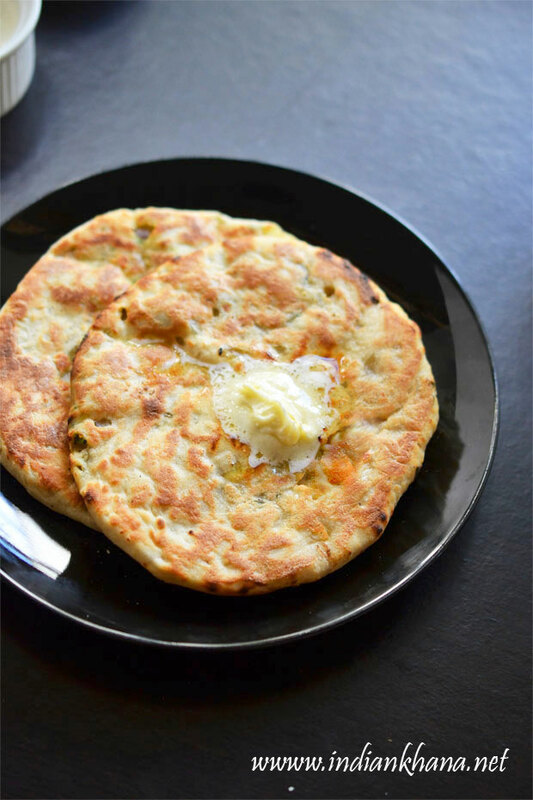 Aloo Gobi Paratha - Goodness of potato and cauliflower in this easy paratha. Jeera Rice - Simpel and flavorful Jeera rice or pulao. Peas Pulao - Mild and easy peas (matar) pulao. Kashmiri Pulao - Mild, aromatic, sweet and colorful Kashmiri Pulao. Bagara Bhaat - Easy, flavorful Bagara Bhaat from Hyderabadi Cuisine. 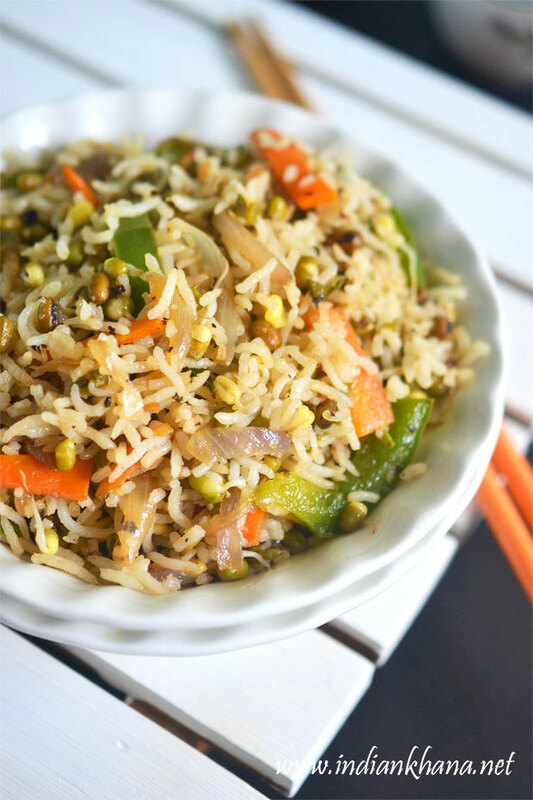 Sprouts Fried Rice - Healthy fried rice with sprouts and vegetables. Paneer Pulao - Easy one pot meal paneer pulao in pressure cooker. Babycorn Biryani - Easy one pot meal flavorful babycorn biryani in pressure cooker. Paneer Pulao - Easy one pot meal spicy tindora pulao in pressure cooker. Carrot Rice - Carrot rice made with cooked rice, carrot and spices. Broccoli Pesto Pasta - Easy and healthy pasta with broccoli pesto. Eggplant Pomodoro Tomato Pasta - Pasta with eggplant in tomato sauce. Spicy Veg Noodles - Spicy noodles with loads of vegetables. Besanwali Bhindi - Delicious Bhindi stir fry with chickpeas flour (besan). Bharwa Bhindi - Gujarathi style bharwa bhindi or stuffed okra. Baingan Aloo Bharata - Popular bharta with aloo, yummy it is. 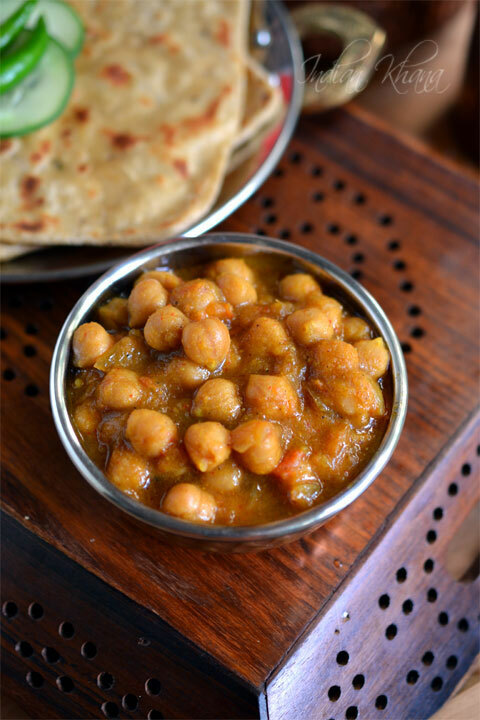 Pindi Chole - Dry chickpeas curry made with spices and no onion no garlic. Chole Masala - Popular Punjabi Chole or Chana Masala. Shahi Bhindi - Simple bindi/okra curry made in cashewnut sauce. Vratwale Aloo - Aloo or potato dry curry with spices. Bagara Baingan - Classic and easy eggplant/brinjal curry. Dum Aloo - Flavorful, spicy and delicious dum aloo. Aloo Gobi Sabzi - Classic aloo gobi or potato cauliflower curry. 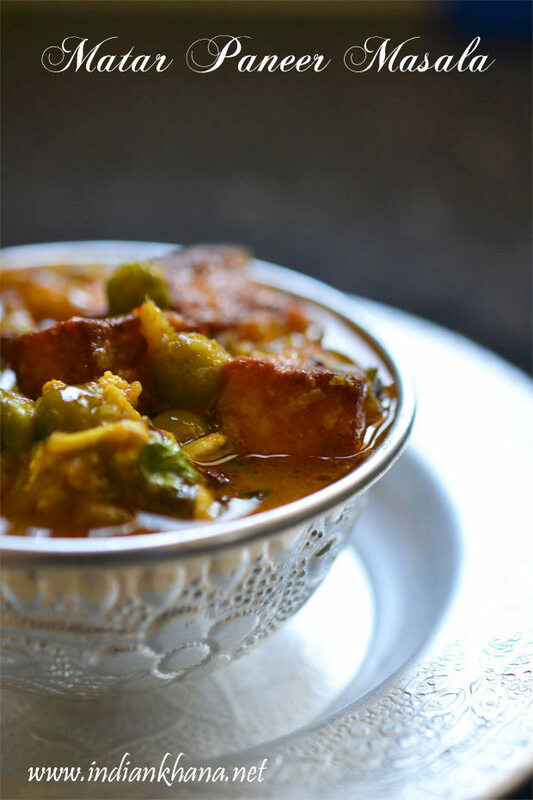 Aloo Parwal Sabzi - Classic and delicious potato, pointed gourd curry. Tariwale Aloo Matar - Simple no onion no garlic potato peas curry. Rajma Masala - Punjabi rajma masala or red kidney beans curry. 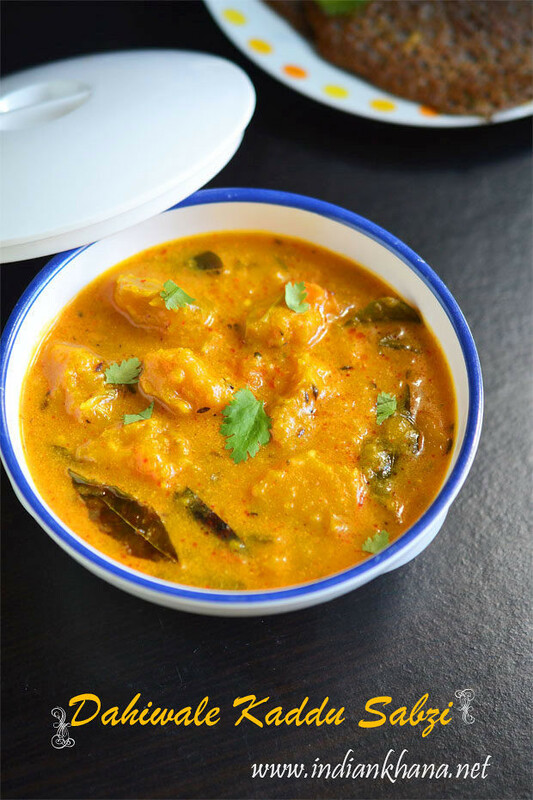 Navratan Korma - Shahi Navratran korma suitable with rice or bread. Paneer Makhani - Rich, Creamy Paneer Makhani with no onion no garlic. Paneer Butter Masala - Famous paneer butter masala in restaurant style. Punjabi Kala Chana Masala - Kala chana or black chickpeas curry Punjabi style. Kachache Kela Kofta - Delicious kofta curry with raw banana. 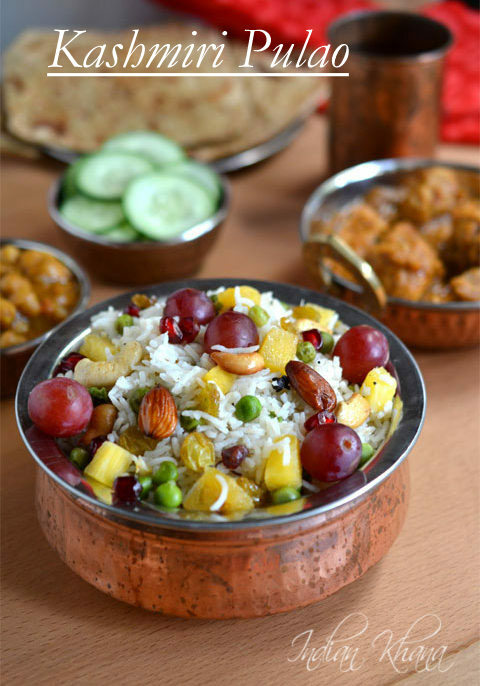 Mixed Vegetables Kurma - Delicious, creamy kurma (korma) with lots of vegetables and no coconut. Masoori Dal - Healthy and filling brown lentil (masoor dal). Matar Ki Dal - Oh so delicious matar (green peas)dal with potato, cauliflower. Mixed Vegetables Dal - Delicious and healthy dal with mix of different types of dals and vegetables. Chana Dal - Chana Dal or bengal gram lentil. Hara Moong Dal Tadka - Green gram or hara moong dal. Tindora Dal - Yellow moong dal made with tindora. Sindhi Kadhi - Popular no onion no garlic Sindhi kadhi. Kadhi Pakode - Chhattisgarhi style kadhi pakode. Vegetable Manchurian Gravy - Delicious, juicy and popular veg manchurian in gravy.